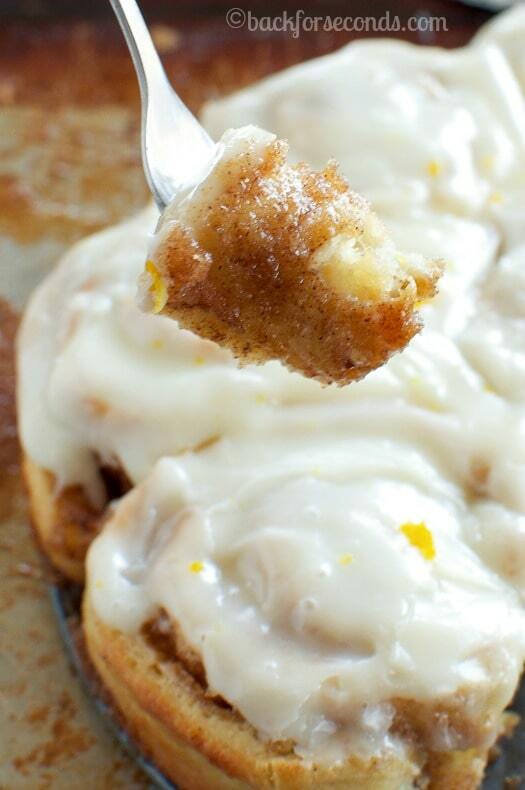 These Easy NO YEAST Orange Cinnamon Rolls are the best cinnamon rolls I have ever had!! They are light and fluffy and perfectly gooey! The icing is dreamy!! 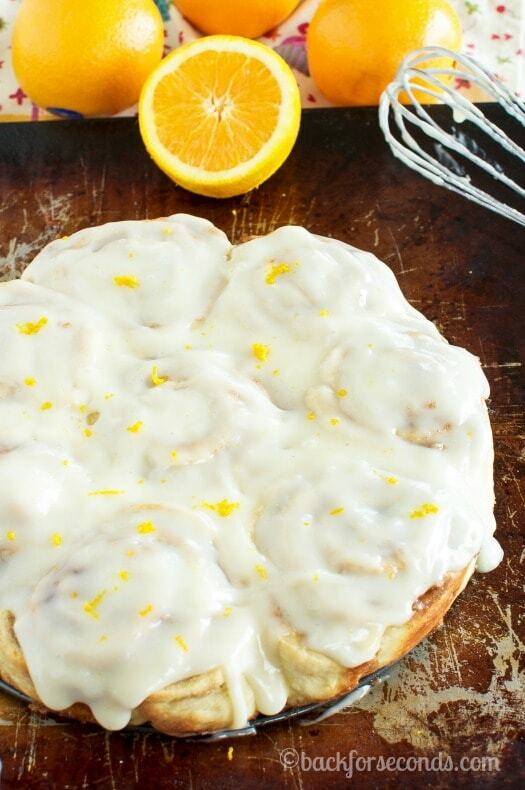 How perfect would these Easy No Yeast Orange Cinnamon Rolls be on Easter morning? Or Saturday morning? Or Monday night because cinnamon rolls are delicious no matter what time of day it happens to be! My one piece of advice? Make a double batch! I can’t even tell you how thrilled I am with the outcome of this recipe! I LOVE cinnamon rolls, and I’m also pretty picky about them. 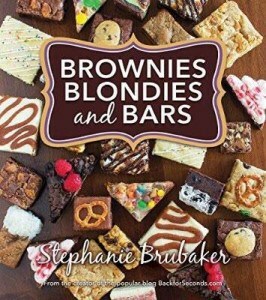 I like them light, and fluffy, with ooey gooey centers, and lots of scrumptious icing on top! Despite not having any yeast in this recipe, these rolls are delightfully light and fluffy! They are not dense, or dry, or biscuit like, as a lot of no yeast dough can be. They are simply perfect, and this is now my go-to recipe for cinnamon rolls! The best part? From start to finish these rolls are ready to eat in one hour! Hooray! No waiting for the dough to rise, or rest, or rise again. It’s a seriously simple recipe and you’d be hard pressed to find a more delicious roll! 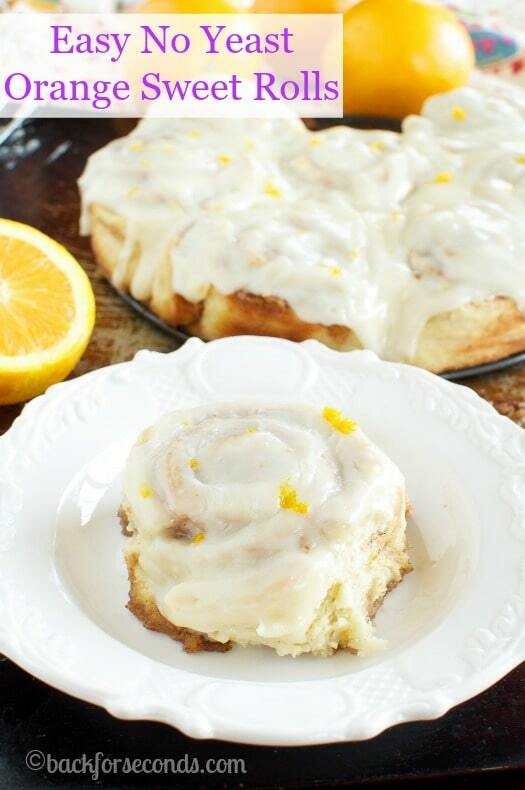 I have been craving citrus like nobody’s business lately, so I changed up my usual cinnamon rolls and added orange juice and zest to every layer of these sweet rolls. The cream cheese icing on top is the perfect finishing touch. You are going to love these! These look absolutely perfect. 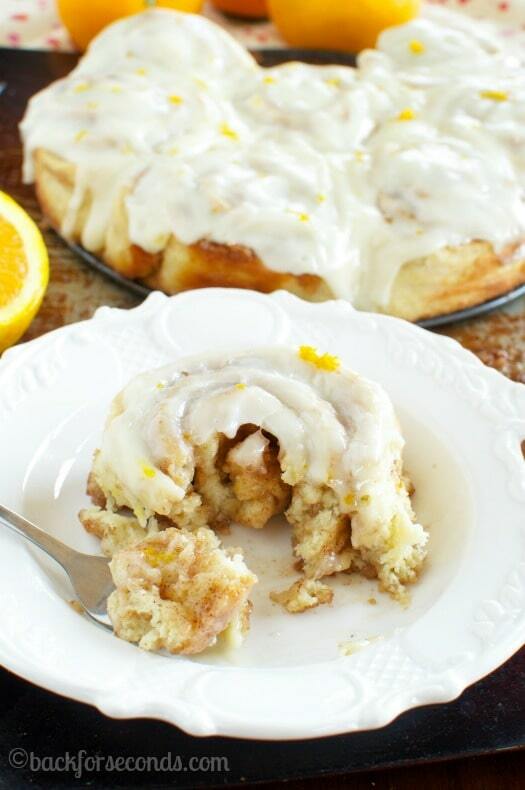 I adore citrus rolls so these appeal to me so much I want to whip up a batch at 2 am. We love cinnamon rolls! I make mine with yeast, but these look so light and fluffy — I want to try them. id like to make these with what i have on hand (not working, no incoe), i dont have buttermilk or the ingredients to make it. is there a way of making it without buttermilk? Do you have regular milk and vinegar? You can just add a tablespoon of vinegar to a measuring cup and fill it the rest of the way with milk and let it sit for 5 minutes. Or you can just use plain milk. What is the oven temp suppose to be? They look and sound delisous(?) Sorry for the spelling. I am going to try making these soon. Two questions: 1. In the comment above, you say to bake 350. But the recipes says 400. 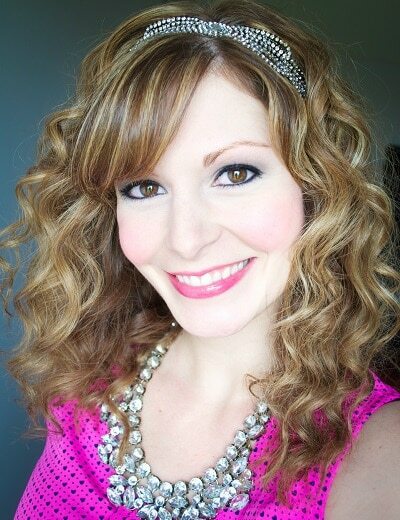 Which do you this is better? 2. Do you it would be okay to make the rolls the night before, but make them in the morning? Or would that affect the fluffiness? Hi Lisa! Sorry for the confusion, bake at 350. These are best if made just before baking, but I have done it the night before and they still taste great! Just make sure none of the filling leaks out or it will caramelize and get too hard/chewy. To prevent this I would use softened butter instead of melted butter on the rolls. Enjoy!